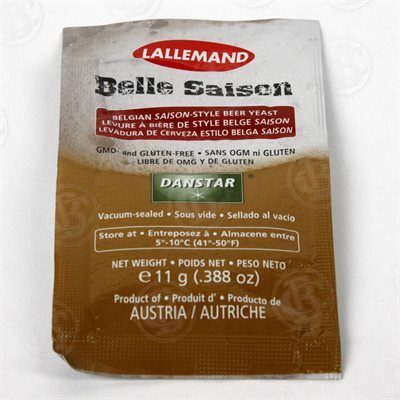 Danstar Belle Saison - Belgian Saison - 11g - F.H. Steinbart Co.
 Quick start and vigorous fermentation, which can be completed in 5 days above 17°C (63°F). High attenuation and high alcohol tolerance.